As the Internet and social networking have evolved, many people are concerned about what search engines and tools churn up when people search for their names or other information online. 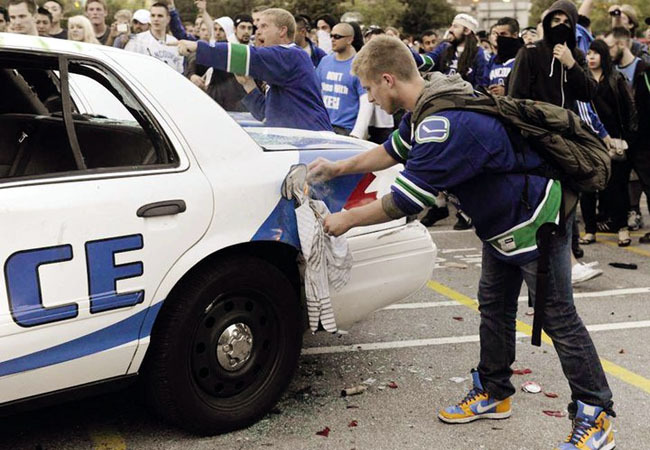 If you’re applying to a university or for a job, a photo of you setting fire to a police car in downtown Vancouver is probably the last thing you want people to see. Or maybe Facebook’s automatic face detection system “accidentally” identifies you amid a crowd of drunken revelers they day before you apply for a business loan. Online reputation management isn’t just about being in control of what you post about yourself, but knowing about (and responding to) what others post about you. Savvy Internet users have “egosurfed” for years by conducting searches on their own personal information, and many set up automated searches and alerts to send them notices if their names or other details appear in new places on the Web. Now, Google is taking a small step to bring those tools to the masses with “Me on the Web,” a new component of Google Dashboard that enables users to monitor details of their identity on the Web and get informed when new things pop up. Me on the Web enables users to set up Google Alerts for their names, email address, and other personal data that appears on the Web, social networking services, or news stories. Google is also linking to information and resources about trying to control third-party information about you. Of course, one catch to this system is that users have to have a Google account and public profile—which means turning over some portion of their personal data to Google. Google takes information users enter into their public profile and automates the process of setting up alerts to let users know when that information appears elsewhere on the Web. Google has no concept of a private profile: Google profiles are visible to the world, any anyone with a user’s email address can discover them. With privacy breaches becoming seemingly commonplace amongst businesses and Internet companies, there’s some irony in being required to disclose personal information to manage privacy and reputation. Fundamentally, Google’s “Me on the Web” isn’t any different than doing queries via a search engine—after all, entering your own name into a search form is the same as handing it over to a search engine operator. One difference, however, is that Me on the Web—and Google’s profiles—collect all that information in one place. The security- and privacy-conscious usually go to efforts to make sure their ego-surfing doesn’t trace back to any one point. “This is just one of our first steps in continuing to explore ways to help make managing your identity online simpler,” Google product manager Andreas Tuerk wrote in a blog post. Here’s hoping there are many more larger steps soon.